From Our Home: Guess Who's 12? 12 years ago, we welcomed you into our lives. You were a wee baby, tipping the scales at just 3.005kg with your tiny hands and feet. From the 1st day, you brightened our lives with your big brown eyes and beautiful black hair. It's hard to imagine where the 12 years have gone. Looking at you now, a young girl soon to be a teenager, starting your 1st year in high school. We are immensely proud of you, proud of all that you have achieved at your young age, proud of who you are and the values that you hold true. WOW! 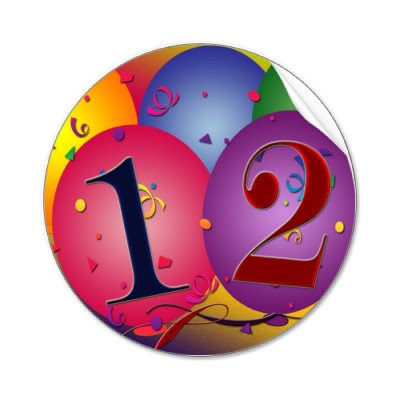 12 already!!! amazing!! Happy Birthday Ashleigh! Hope it was a PERFECT day for you!! This is the coming of age...congratulations, Ash!